The Ethiopian Mubarak, Melese Zenawie has been using Islam and Islamists as main enemy of his regime to win the sympathy of western islamophobia since 911 terrorist acts. The dictatorial ruler of Ethiopia has been supported by the west especially the US as a main allay to fight Islamic terrorism in the Horn of Africa. He has prepared and trained qualified agents to provoke the mob in the name of & in the protection of their faith. The recent Church burning in the south is targeted to the western Evangelical faith is trained and prepared by the genocidal regime of Melse Zenawie. This was done by the agents of the genocidal dictators himself to show that he is fighting Islam extremism in his country of Christians . He is not even ashamed to incarcerate the victims themselves in the pretext of protecting them. The dictator is qualified in playing such games since he could not imprison his own agents sent for such in human mission, rather easier to persecute the victim. This is done to prove to the West that Muslims in Ethiopia are defusing extremist ideologies endangering the existence of pro Western “Christian Ethiopia”. The same game was played by Hosni Mubarak against the Copts to perpetuate his power over Egypt and to assure finical support for West for over four decades. The news went on playing in the hands of the Ethiopian dictator by declaring that “Southern Ethiopia 5 evangelical Christian churches are burned down by the Ethiopian Muslim extremist”. Why not local orthodox churches were not burned down at the same time since in every corner in Ethiopia you find Orthodox Churches . Both have cohabited for centuries together. one has to ask,Why then it is targeted against the evangelical western Church ? 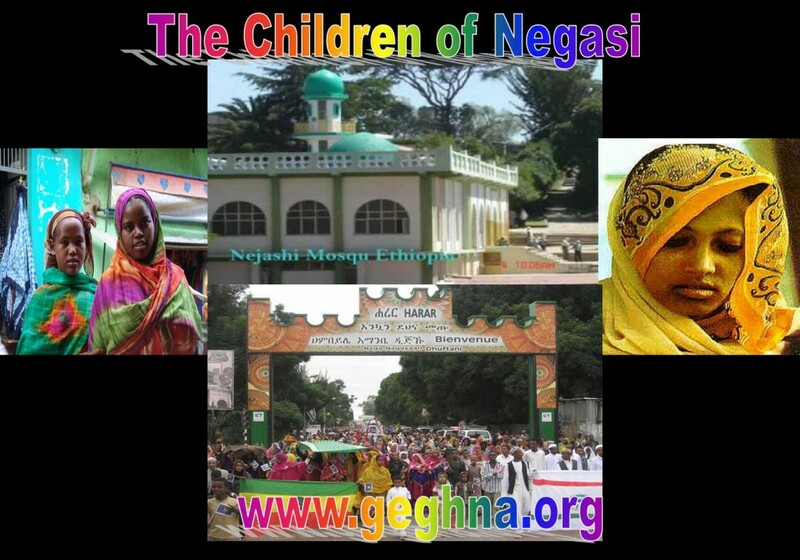 The Prophet saw the persecution to which his followers were subjected in Mecca, ordered his followers to find safe haven in Ethiopia. Today the expansion of Islam is due to the Ethiopian King Negasi known in Arabic Tradition Ashama ibn Abjar who saved from annihilation the first ever sect who escaped to Ethiopia from the persecution of the leader of Quraysh tribe . Thus Ethiopia played a great role in safe guarding the prophet family. The pervert Melese regime programmed his agents to burn down evangelical Churches in the South. As expected the International Christian Concern reacted fast by reporting that ” the Ethiopian Muslims burnt down five churches, and more attacks are feared from the religion of barbarianism “, with out considering both side of the story , by a simple reality judgment .” Everything is playing in his hand a dictator trying to turn the world attention from Northern Africa revolutionary events . Moreover, even the church leaders ask for government protection from the ongoing Muslim attacks. The mob followed his orders and thousands instigated mobs came out and have razed five churches and the homes of two evangelists in Asendabo, Ethiopia. The response of the Ethiopian regime is to send security forces ordered simply to watch that the rest of the the remaining two churches to burn to ashes and put to jail the remaining Christians asking for protection. And the Christian leaders played what is expected for them by the Ethiopian regime “that Muslims will start killing the Christians unless the government sends more security forces to contain the Muslim attackers.” Yes with the help and finance of the West ! The manipulating dictatorial regime could not put the culprit in prison, the instigators and attackers have not been arrested. The government officials detained some Christians and took them to the nearby Jimma town stating that they need to do that for their own security. The International Christian Concern (ICC) reaction fall in the hands of the Ethiopian regime which has instigated the scenario for its final games that “The Ethiopian regime need to be supported to fight Muslim extremist in his country and the region”. “We urge Ethiopian government forces to send reinforcement to protect the Christians in the city of Asendabo from the Muslim attacks. We ask Christians around the world to prevent any further attacks by calling the Ethiopian officials in their countries and asking them to protect the Christians and their property,” said ICC’s Regional Manager for Africa, Jonathan Racho. It is a high time that the international community to understand the game of this dictatorial regimes to maintain its personal powers by prorogating religious and ethnically based conflicts to perpetuate its grip on Ethiopia using the western finical and military support.